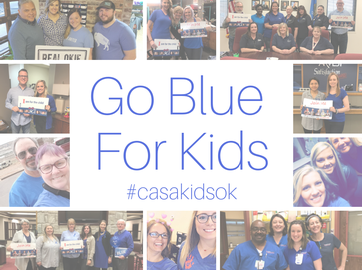 This Friday, April 5th, is Go Blue for Kids Day. 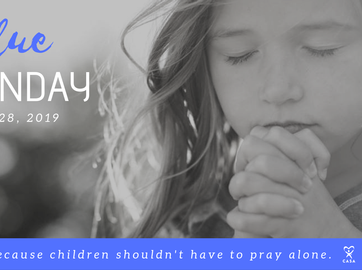 A day to acknowledge Child Abuse Prevention Month! 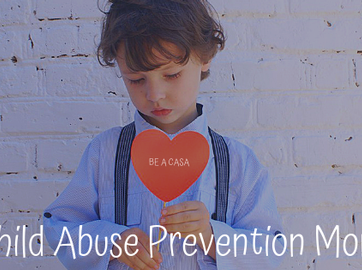 Grab your favorite blue shirt and put it on to show the world that you will not stand for child abuse! 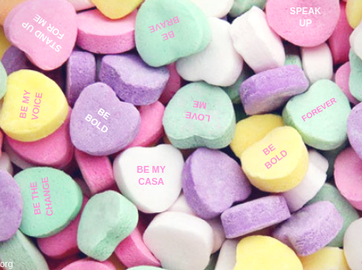 Make sure you snap a selfie and share it on your page with the hashtag #CASAGoBlue. Ever had a run of bad luck? It can feel like the world is actively conspiring against you. 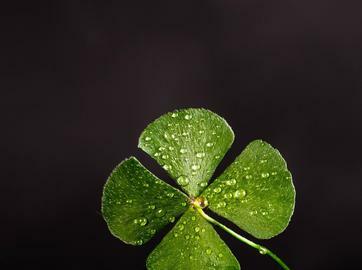 Good luck comes naturally for some people, but many others feel like there are days when they just can't catch a break. If you are one of those people, don't give up. There is hope - it is possible to turn your luck around. Here are 7 helpful tips that will help you to tilt the odds in your favor. Imagine the world being a kinder place? It can happen. It starts with you! 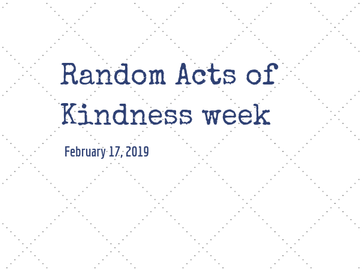 This week is Random Acts of Kindness week. 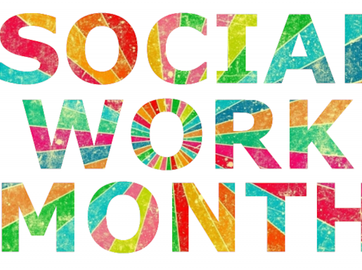 Try one of these great ideas to help spread cheer to others. It was a hot July night when 5-year-old Crow woke up to find his mom gone. Tired, thirsty, hungry, and unsure of how to care for himself he went out in search of food and comfort. 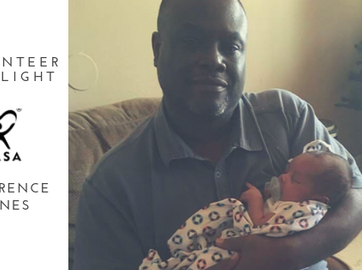 Read more to find out how Crow's CASA volunteer helped to change his path. There's a lot going on in the world right now. 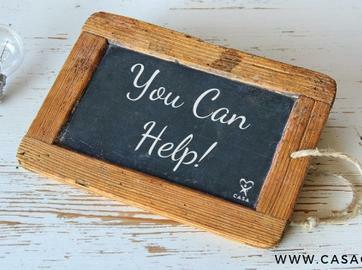 Between the news, the community and our personal lives, it can be pretty easy to get overwhelmed. So how can we brighten our view of the world? 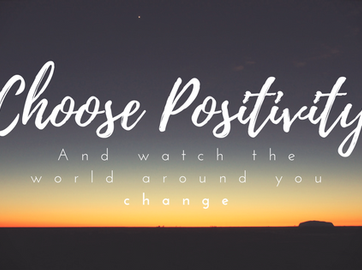 Here are ten simple steps to help you transition to a more positive you. 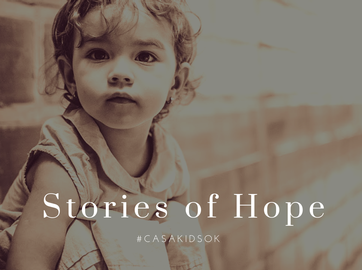 CASA for Children graduated 15 new CASA volunteers this week, adding to the number of community members who are speaking up for abused and neglected children in the court system. 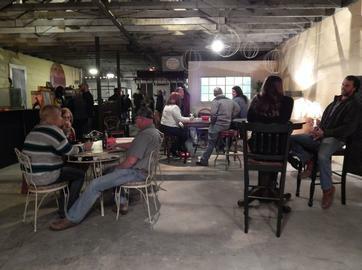 Join us for A Merry CASA Christmas at Coweta's historic Broadmore (102 North Broadway, Coweta). 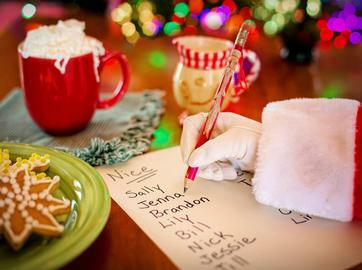 Santa & Mrs. Claus will be making a magical appearance so skip the lines at the mall and come out to have your picture taken with Santa while giving back to CASA! Giving Tuesday is a global day of giving that harnesses the collective power of individuals, communities and organizations to encourage philanthropy and to celebrate generosity worldwide. 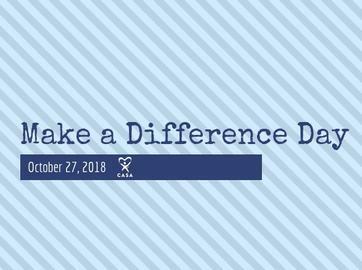 Following Thanksgiving and the widely recognized shopping events Black Friday and Cyber Monday, this year’s #GivingTuesday will take place on November 27th. 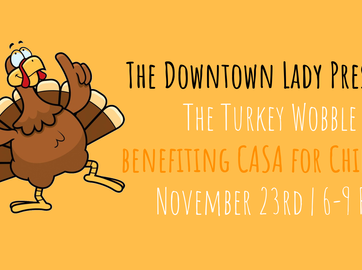 The Downtown Lady presents the first ever Turkey Wobble benefiting CASA for Children. Take a break from all the Thanksgiving and Black Friday madness and join us on Friday, November 23rd from 6-9 p.m. for dancing, drawings, music, and fun. This is a night you won't want to miss. 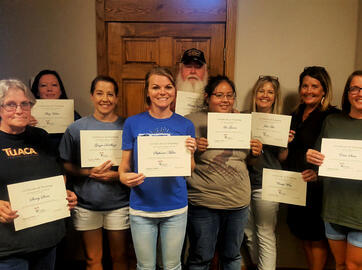 We are excited to introduce CASA's newest advocates! 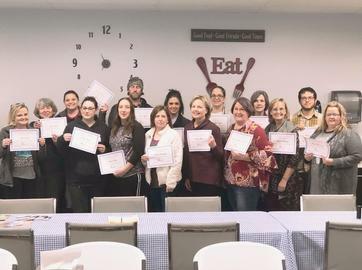 Congratulations to Sherry Shore, Amy Vidrio, Ginger DeShazo, Stephanie Miller, Ronnie Young, Ana Garcia, Julie Aich, Christy Wiley, and Erica Shaw for completing training and becoming the voice for children in foster care! 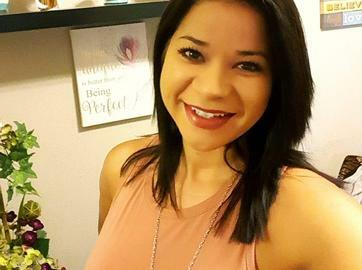 As a wife, step-mother, and full-time employee, Katie Glass had more than enough to keep her busy, but she wanted to do more. 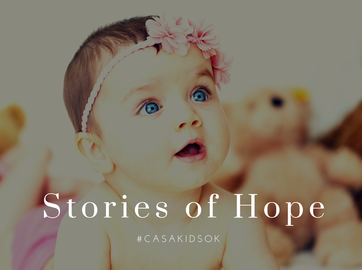 Read more to hear how becoming a CASA volunteer helped to change Katie's story. 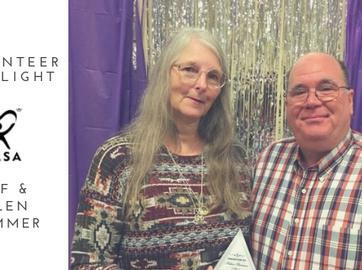 Please join us in welcoming our newest Sequoyah County Volunteer Coordinator, Debby Bates! 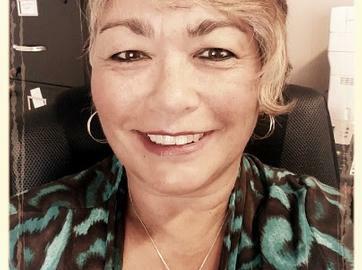 Debby was an active CASA volunteer for three years before joining the CASA staff in August. We are so excited to have her on board and know she will make an excellent addition to our team. 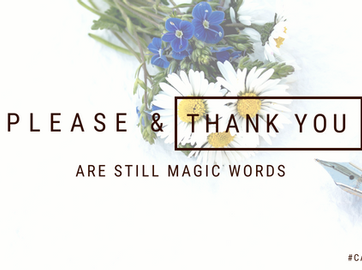 If one kind word can change someone's day. Imagine what a whole month of kind words could do. September is National Courtesy Month. 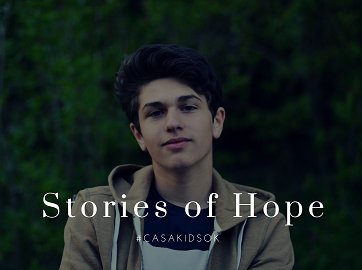 A chance to show the world just how far a little kindness can spread. Here are a few politeness reminders to help you get started on your journey. What would happen if you focused on just one every single day? 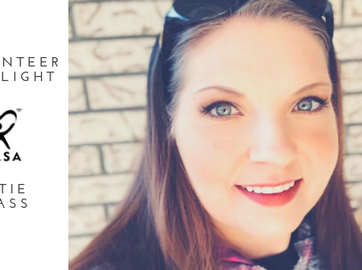 Please join us in welcoming our newest Muskogee County Volunteer Coordinator, Jessyca Bivings! 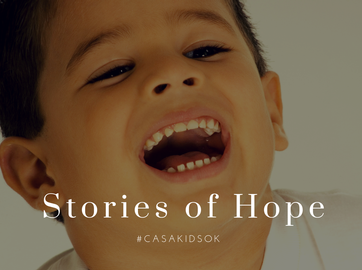 Jessyca served for three years as a CASA volunteer before joining the CASA staff. We are so excited to have her on board and know she will make an excellent addition to our team. 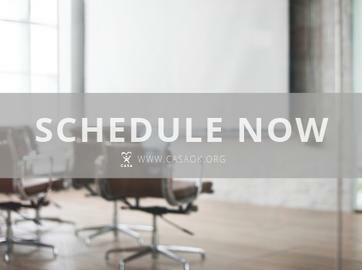 This is what CASA is all about. 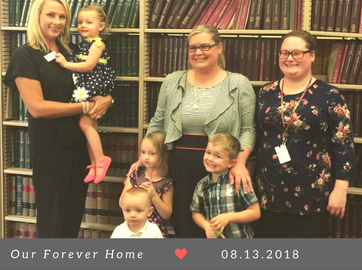 These sweet babies found their forever home today as their adoption was finalized.